Your baby naps happily in her room ... and then wakes up refreshed, content for the rest of the day and ready for a good night. That is what good naps do. "Nap in a Snap" aka No Tears Naps is your award-winning step-by-step guide to set up the nap routine that fits YOUR baby or toddler. And then it goes on to help your baby actually sleep those naps well. 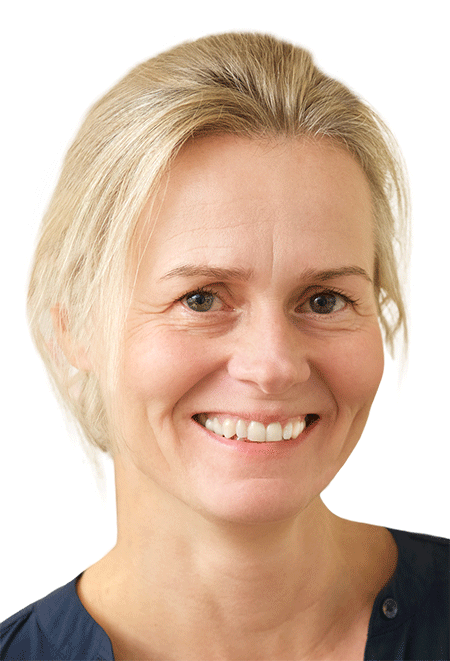 Hi, I'm sleep consultant Heidi Holvoet, author of this site and several baby & toddler sleep books. In my 10+ years of research and sleep counseling, I experience every single day how important naps are. For baby & toddler's sleep and health and for your own well-being as a parent. 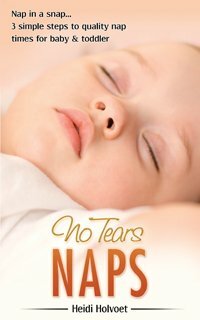 No one should be struggling with naps - "Nap in a Snap" aka No Tears Naps gives you all the tools to help your child nap well. Is "Nap in a Snap" for you? Yes if your baby doesn't nap enough and therefore is cranky or fussy most of the day. If your baby takes short 30 or 45 minute naps only. If your toddler suddenly refuses to nap. If your baby sleeps too much during the day and too little at night. If your child goes down for the night easily but not for naps. If settling for sleep or self soothing is a struggle for your baby or toddler. If you have the feeling your child is on edge from sleeping too little. If your baby sleeps poorly at night - doesn't sleep through the night. "I love this program. It's what the title says and yet it's comprehensive and very applicable. Getting your baby to nap well during the day is SO important for night time sleep. And bad sleeping habits don't take long to develop. When I read this program I became more aware of my baby's sleep cycle, his sleepy signs and tired behavior and with this new understanding I was able to focus my energy on building new helpful sleep routines for my baby, instead of just feeling frustrated." Finding the best-fit nap routine (how often and how long to nap) for your baby/toddler comes first. There is no one-fits-all nap solution. What counts is the right routine for your child. The 3 Steps to Nap in a Snap help you find exactly that nap routine. A routine can be timed, follow a simple pattern or follow baby's lead. Each step is easy to do with detailed how-to's. Next comes settling well for naps and solving any arising nap problem. Your baby happy all day, sleeping well at night ... it may seem like a dream but you can make it happen. It's all in this one handy guide (35 pages): learn what's best for your baby or toddler and help her nap well consistently. I promise. 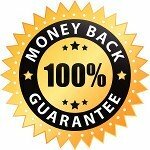 For your ease of mind, and because we are all different, the program comes with a refund guarantee, if you don't find it helpful you get a 100% refund. Checkout is simple and secure: click, pay, download ... and read in less than a minute. When you click the "buy & download" button, the secure checkout procedure starts. This checkout procedure is secured by Sendowl.com, the company that takes care of the shopping cart and the secure payment gateways. The payment gateways are processed by Stripe.com (credit/debit card payments) and PayPal (choice of PayPal account balance or account-free credit/debit card payments). Your financial data are secured with these companies. After having clicked the "buy & download" button you will be offered a choice between regular checkout and PayPal. Option 1: Checkout. Regular checkout will give you the chance to enter your bank card details or use Apple Pay if available on your device. Option 2: PayPal. This option allows you to pay via PayPal, either with your PayPal account balance or simply your bank card details. Once your payment is confirmed you will arrive at your unique secure download page on this website. Follow the link on that page to instantly download the program. It comes as a PDF-file which you can read on your computer or mobile reading device (any smart phone, tablet or e-reader). You will also receive the download link by e-mail for further use so you can easily access it at another time or from another device. More time for yourself + more fun time with your content and healthy baby thanks to the easy-to-do nap techniques and proven problem solving. Along with your "Nap in a Snap" guide, you receive "SOS Naps" for free. "SOS Naps" is the compilation of 20 Nap Questions and their answers. Real-life nap situations to which I reply with my personalized advice. If you have any question or concern about downloading this program, please don't hesitate to contact me. Also if you require a hard-copy printed version of the program, email me at heidi@baby-sleep-advice.com.